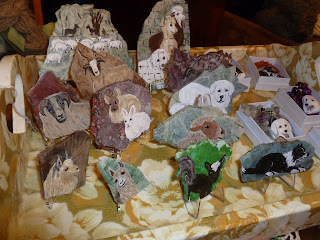 I have a friend that does painting, specifically....she paints rocks or stones. Pat is an animal lover and a breeder of dogs. She painted Bianca as a puppy on a rock and gave it to me last year and I love it. Here are a few more of her creations.